Do you need your program accredited? 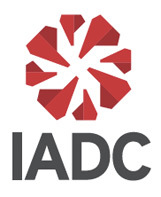 IADC: For more information about having your program accredited through IADC, please click here. PEC Safety: As an accrediting organization, PEC Safety has the ability to accredit your existing safety orientation as SafeGulf. For more information about having your program accredited, please contact Gary Pohlmann at gary@pecsafety.com, 800.892.8179 or www.pecsafety.com. The SafeGulf Program was developed to provide minimum core modules for orientation to service providers as required by the Operators. Accreditation will require adherence to the Training Provider Requirements as described in this SafeGulf Accreditation Process. Any training organization that wants to provide a SafeGulf Program by a licensing process. Eligibility requirements for accreditation may change and SafeGulf shall provide that any proposed new or changed Training Provider Requirement is communicated to all Training Providers immediately. A reasonable period of time will be given for compliance to the change and will be determined at the time of the change. Any Training Provider can submit to SafeGulf written comments, data, and arguments in opposition or support of proposed changes within 30 days from the notification of the change. SafeGulf shall consider all such written submissions before adopting the new changed Training Provider Requirement. Training Providers must meet the following general rules to be accredited. Infrastructure (Facilities) – The accredited Training Provider must have a facility that provides a learning environment; space to conduct instruction, demonstration and hands-on interaction. Have a means to deliver program content and supporting material to conduct class. The written procedure must ensure completion of a record consisting of their name, identifying number, date of training, and course name (and/or number). The Accrediting Organization (AO) will ensure that a process is in place to verify Social Security Numbers. Administration – ID Requirements – To ensure the integrity of the accreditation process, each AO shall have a written procedure outlining registration of students to include both identification and confirmation processes. Instructor Qualifications – Instructors must meet the qualifications of the AO. Each AO will have a process for accurately entering data in the designated central SafeGulf database.Each AO will have a process for accurately entering data in the designated central SafeGulf database. The SafeGulf Program was developed to provide minimum core modules for orientation to service providers as required by the Operators. Accreditation will require adherence to the AO requirements as described in this SafeGulf Accreditation Process. The programs are not to be provided to anyone outside the membership without the approval of the appropriate AO. The SafeGulf Advisory Group (SGAG) will approve any change in program content as submitted by the SGAG Curriculum Committee. Program content shall be defined as videos, text and pictures. Core program content may be added to but not deleted. The modules that have been approved for the initial rollout of the SafeGulf programs are listed in the Additional Information Section in this Accreditation Process. SafeGulf and equivalent programs shall be taught in English or other languages as needed. Training Providers may elect to teach SafeGulf in another language once approved by the appropriate AO. The accreditation process will provide a Test Out feature. The test provided under Test-Out is to help assure the current student has adequate training and knowledge from training already provided that complies with the SafeGulf Syllabus. The test consists of 100 questions selected from material in the SafeGulf syllabus. An accredited Training Provider will conduct the test. Students must make a score of 90% to pass. Students who fail must take training provided by an accredited Training Provider. Each AO must have a process in place to ensure the security of the testing process. Maintain a pool of 300 test questions. A system must be in place to prevent cheating on examinations for each training session in progress (i.e. alternating of tests, spacing of seating, adequate proctoring). Test must have a minimum of 100 questions. Minimum passing grade of 70%. means to identify the answer sheet to its original examinee shall be utilized. Examinations and answer keys shall be secured. Training Providers shall establish a written policy to address reviewing all missed examination questions with attendees who achieve a passing score on the examination. AO shall determine examination retest policies for their organization. AO shall establish a written procedure to address cheating at their organization. Each trainee will have an electronic database photo image made at the time of training. The photo should be updated when there is a change in appearance (i.e. weight loss, hair length, facial hair and etc.). Hats and sunglasses must be removed for their photograph. Refer to the IT image requirements for further guidance. These documents will be compiled and made part of the Training Providers Accreditation file. The AO will examine the materials submitted by the Contractor Training Provider. The AO will have a process for accepting applications, reviewing, evaluating and approving Training Providers. Approve the application for accreditation as presented, awarding the Program full accreditation valid for a period of three years, contingent on Bi-annual audit. Defer a decision until after reviewing additional information or materials the Review Committee has requested from the applicant. Reject the application on the basis that the Training Provider failed to show evidence of eligibility or submitted false or misleading information. The initial site visit must confirm application package. The AO will have a written protocol for conducting audits on their training providers.